Missing teeth can affect you on many levels. The inability to chew can take its toll from a nutritional and social perspective, whereas missing teeth can also compromise the health of your remaining teeth by loosening them up over time. A healthy smile is a sign of a strong body and it’s never too late to replace your missing teeth. Luckily, dental implants offered by many dental practices including Blue Sky in Belfast, are an effective replacement option for missing teeth. Unlike other tooth replacement options, these metallic posts are surgically placed into the jawbone and actually become a part of its structure. 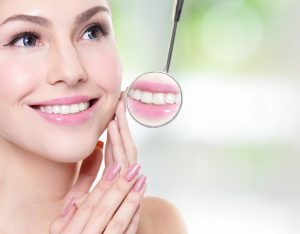 This way, dental implants are not just a cosmetic dental solution, they also offer several important health advantages. Unlike conventional dentures, dental implants are fixed permanently into the jawbone. Therefore, taking care of dental implants only requires brushing and flossing, just like you would with the rest of your teeth. Dentures, on the other hand, are trickier to clean thoroughly since they require a multi-step cleaning process that many patients are not always keen to follow. If left uncleaned or not properly cleaned, dentures harbour bacteria that can harm your dental health. Missing teeth sometimes lead to nutritional deficiencies because you may not be able to eat certain foods with one or more missing teeth. For denture wearers, healthy foods like nuts and raw fruit and vegetables are often out of reach since they are difficult to chew. As an alternative, patients with multiple missing teeth end up eating soft, processed and sometimes less healthy foods. These foods can be poor in nutrients and can cause additional health problems in the long run including tooth decay and diabetes. Dental implants are as strong as natural teeth, allowing you to enjoy a healthy and balanced diet, full of nutrients. 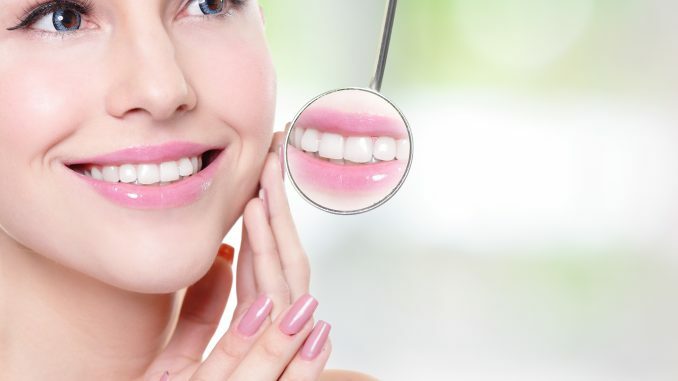 The most important benefit of dental implants compared to other tooth replacement options, is their ability to protect the natural jawbone and prevent its deterioration. Dental implants fuse with the jawbone and encourage the growth of new bone, which helps keep them stable and healthy.